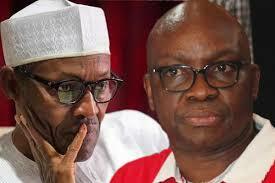 The National Publicity Secretary of the Peoples Democratic Party, PDP, Prince Dayo Adeyeye, has warned the Governor of Ekiti state, Ayodele Fayose to jettison his presidential ambition under the party, maintaining that PDP has zoned the presidential ticket to the north. Prince Adeyeye gave the comment after Governor Fayose has made public his ambition to contest the coming 2019 presidential election. Recall that Governor Fayose had, while declaring his ambition to become the next president of Nigeria, said that he was going straight to the presidential villa. He had equally said that he would unseat President Muhammadu Buhari through the ballots. “My dear leader, it is with deep sense of responsibility that I write to inform you of my intention to seek the ticket/mandate of our party to contest the 2019 presidential election, considering your support and commitment towards our great party, the Peoples Democratic Party, it becomes imperative to keep you informed and seek your support. 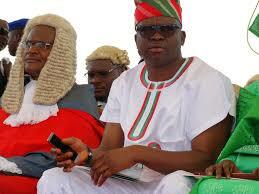 However, the National Publicity Secretary PDP, Prince Adeyeye said Fayose is wasting his time. He said the party cannot allow a non-northerner fly its presidential ticket because it has zoned it to the north. He said what Governor Fayose is eligible to contest for is the office of the national chairman which he said the party zoned to the south. He said, being a prominent member of PDP and equally being present at the meeting when the zoning was made, Governor Fayose ought not to seek to disrespect the decision of the party. According to him, “The highest organ of the party, which is the national convention, zoned the presidential ticket of the PDP to the North. That has not changed. The same national convention zoned the position of the national chairman to the South. The convention has yet to change any of these two.